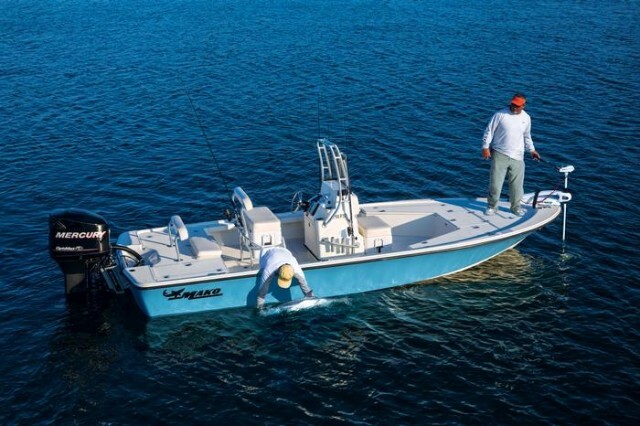 Mako Boats has made a major departure from the norm with their new line of skiffs, epitomized by this 17-foot model. 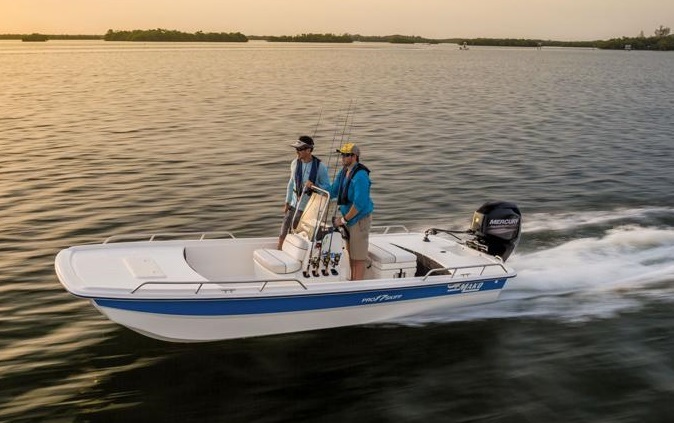 The Pro Skiff 17 Center Console is one of several new Mako models—16- and 17-foot hulls available in both tiller-steered and center-console versions. So what’s the big surprise? Just stretch out on the bow, hang your head over the rubrail, and take a gander below the waterline. This is no flat-bottom skiff, nor is it a semi-V or V-hull. In fact, it looks downright cat-like, although Mako calls this an “advanced inverted V hull” design. 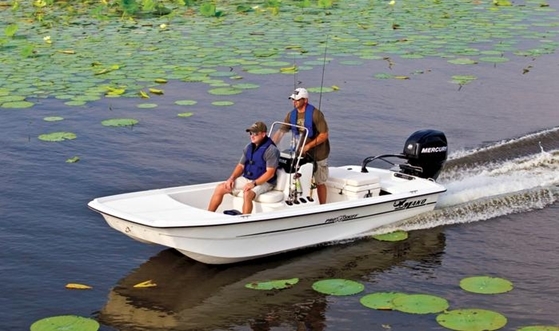 We call it so darn good, it helps this boat make our list of the Top 10 Fishing Boats of 2012. What the heck is an inverted V? That depends on who you ask - the term has been applied to many hull shapes, most of which lie somewhere between tunnel hulls and catamarans. In the Mako’s case, the hull looks more or less like a cat with a relatively narrow tunnel that has a third smaller V running down the middle. It’s complemented by two more mini-V’s, one to either side of the V in the center. These two smaller features look almost like vertical chines, and much like a chine, these surfaces are intended to direct water. Unlike a chine, they’re intended to direct water that’s below the waterline, not flying up or away from it. Instead, they help direct the turbulent water created in the tunnel away from the prop, and feed “solid” water to it, preventing the ventilation problems that are common to many cats and tunnel boats that run on a single screw. And they do their job well: While I was running the 17 across Table Rock Lake, wave-hopping off of boat wakes and charging through a one-foot chop, the prop didn’t lose its bite a single time. 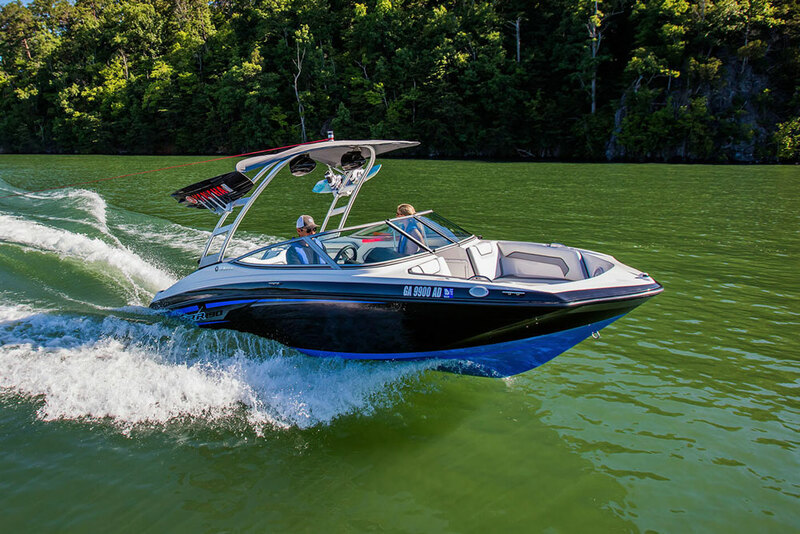 The Mako Inverted V includes characteristics of both power cats and V-hulls. 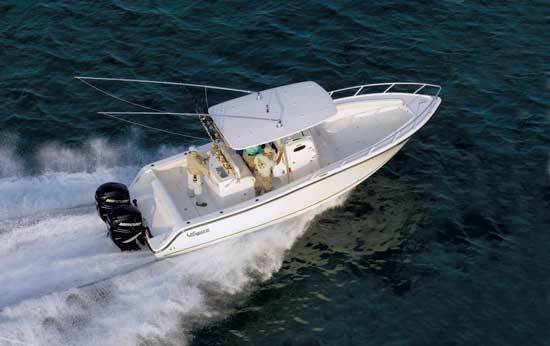 When you run a Pro Skiff 17 CC it’ll immediately become apparent why Mako went to all the trouble of designing this relatively complex bottom for a small, relatively inexpensive model line: the ride is nothing short of stellar. Much like a cat, the tunnel compresses an air/water slurry in between the two hulls, cushioning impacts and rendering waves powerless. Also like a cat, handling will take a trip or two to get used to. The boat doesn’t lean out like some twin-hull fishboats, but it doesn’t bank nearly as much as a V-hull, either. And there’s one more running characteristic that sets it apart from catamarans: the boat doesn’t mind being loaded down with weight. A single passenger sitting on the bow can be enough to cause the painful “tunnel-slap” in many small twin-hulled boats (when the flat surface of the top of the tunnel slams against the water), but perhaps thanks to those extra Vs under the deck, the Pro Skiff 17 maintains a soft ride even when fully loaded. 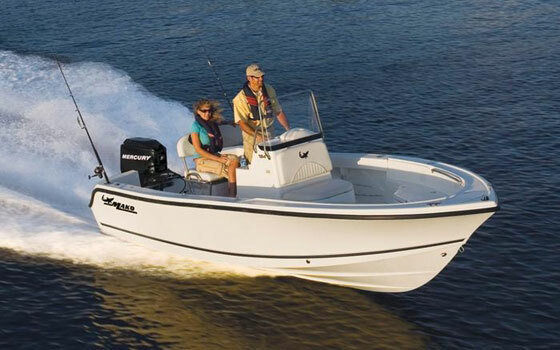 Performance, meanwhile, is about what you’d expect from any boat of this size powered with a 60-hp four-stroke. I saw a 25-mph cruise at 4500 rpm and a 35.4-mph top-end. Don’t let the complexity or the newness of this hull mislead you into thinking that this is an expensive boat. One of the best things about it, in fact, is the price tag: $14,995 will get you the entire package, complete with a trailer. 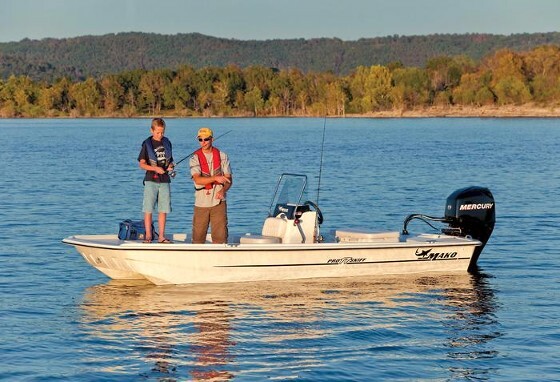 Choose the tiller-steer version with a 25-hp outboard, and the price-point barely breaks $10,000. 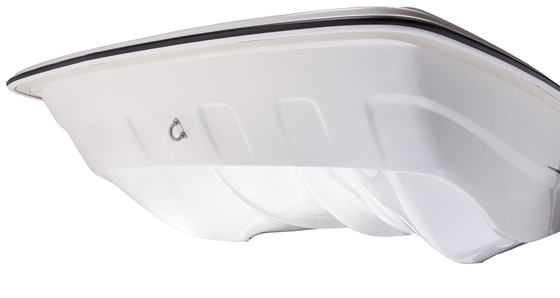 There’s only one obvious cost-cutting measure visible on the Pro Skiff 17 CC -- a console that’s roto-molded plastic instead of fiberglass. It flexes quite a bit, but it does have an eight-gallon molded-in livewell under a forward seat, plus five vertical rodholders. The bottom line? 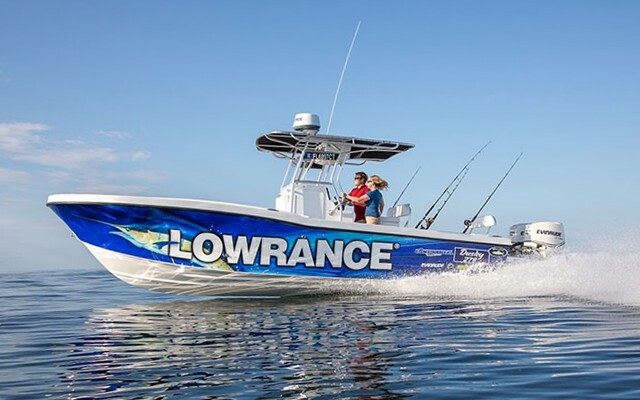 If you’re looking for a new skiff that epitomizes the best attributes of a cat yet eliminates many of the twin- and tunnel-hull drawbacks, the Pro Skiff 17 CC is a must-see. 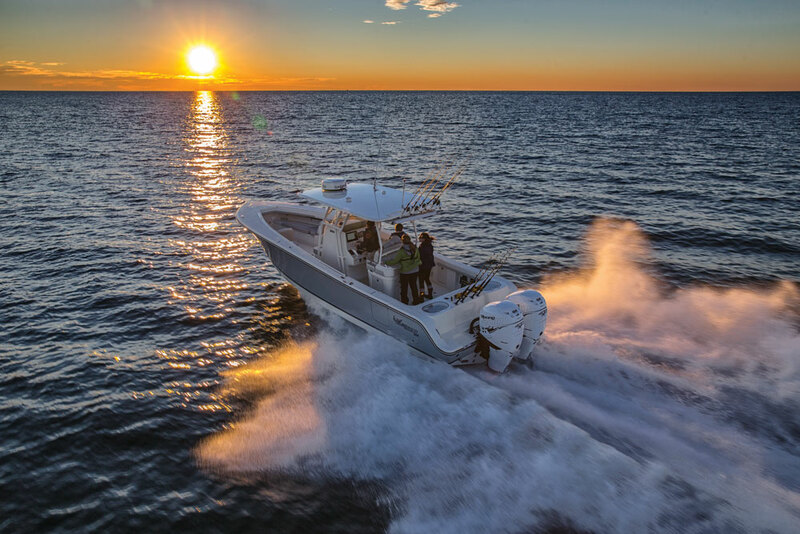 Other choices along the same lines: The Twin Vee 17 is the closest cat; Carolina Skiff’s 17 is the closest boat with a traditional hull design.